As countries try to protect their domestic air carriers from a European Union proposal that would put a price on the emissions they release over European airspace, the global aviation industry is working to curb those emissions. Industry-wide, air carriers set a goal to be carbon neutral by 2020 and to cut their emissions in half by 2050. One way they’ll meet this goal is through the use of biofuels. “Biofuels release significantly fewer emissions than conventional fuel, and could reduce fuel price volatility for airlines,” says Niven Winchester, an economist at the MIT Joint Program on the Science and Policy of Global Change and the lead author of a study looking at the costs and efficiency of making the switch. To meet the global targets, the U.S. Federal Aviation Administration (FAA) has set its own goal to use one billion gallons of renewable biofuels each year starting in 2018. Because the goal includes U.S. Air Force and Navy carriers, which consume the vast majority of fuel, commercial airlines are responsible for just 35 percent of the target (350 million gallons). In studying this target, Winchester and his co-authors find that while a carbon tax or cap-and-trade system — as the Europeans have employed — would be the most efficient way to reduce emissions, there are ways to cut the costs of using biofuels. The study was published in the December issue of Transportation Research. The researchers found that growing biofuel crops in rotation with food crops, as research from the U.S. Department of Agriculture suggests, can reduce the cost of biofuels. Pennycress, for example, is a winter annual crop that could be grown in the Midwest in rotation with summer corn and spring soybean crops. Without any policy to constrain emissions, the researchers found, airlines will spend $3.41 per gallon of fuel in 2020, or about $71 billion for the year. Using biofuels that are not grown in rotation with food crops would cost $6.08 per gallon — almost double the cost of conventional fuel. 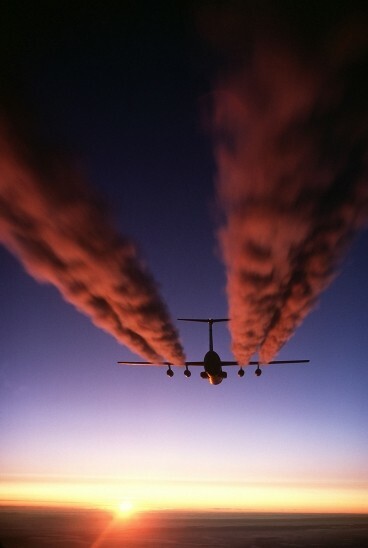 Because the biofuel target for commercial aviation represents only 1.7 percent of total fuel purchased by the industry, the average fuel costs for commercial carriers would increase by only $0.04 per gallon, or $830 million more per year. But when biofuels are grown as rotation crops, the average fuel costs could increase by less than one cent per gallon — raising total annual fuel costs by about $125 million. Not only is using rotation crops a cheaper way of reaching the renewable target, but it also delivers greater bang for the buck in reducing emissions — costing just $50 per ton of CO2 abated versus $400 per ton without their use. But again, it’s far from the most efficient option: a broad carbon tax or cap-and-trade system. Under the European Union’s Emissions Trading System, CO2 cost $5 per ton in mid-2013, and is predicted to cost $7 per ton in 2018. The study was funded by the FAA.